In reality crime rates are dropping and we are currently living in the most peaceful time in history (so far). One reason you don't see more poverty in the U.S. is because we have highest incarceration rate in the world, 700 per 100,000, some 6 million in our jails/prisons,citizens of this country don't raise an eyebrow to incarcerating someone to the tune of $40k-50k a year. Isn't the U.S. #1, in the world, at squandering tax-payers's dollars? If Brazil could afford to pay their police officers the astronomical salaries of our police officers in the U.S., my oh my, what a low crime rate they'd have! With the astronomical costs of jail/prisons, police officer salaries, we had better be seeing a lower crime rate and a peaceful time in history. Anyone with a half-brain knows, this madness can't continue for much longer and this may well be the peace before the storm! The U.S., as a 3rd world country, simply can't afford it for much longer! I really feel you are trying to make more of a political statement by calling the US a 3rd world country than a factual one. I've been all over the US and i've been to countries considered part of the 3rd world and it's frankly it's somewhat insulting to those people living in the 3rd world to downplay their poverty to make some political comparison to the US. The US regardless of it's problems still has actual basic infrastructures in places. Something many 3rd world countries do not. Depending on the definition, you can argue that the U.S. is the worlds only superpower. And to say "a really long time"...Unless you're being dramatic, a really long time must be..I dont know...what, at least 100 yrs right? Make no mistake, the U.S. has all but officially become a 3rd world country, one of the highest gaps between the rich and poor and growing wider every day! You don't understand the meaning of '3rd world country' do you? How in tarnation can you call a country a superpower with $16 trillion in debt!!! The U.S. does an extraordinary job of hiding their outward signs of poverty, partly due to their climate, like I've said before. If Rio had Chicago or NYC's climate, where they'd freeze to death in winter, they'd find a way of sheltering those people, sight unseen! That goes for a good part of the world that never suffers freezing temperatures, like the Caribbean, Central America, the Philippines, India and Africa. When I've walked thru some poor areas around Tegucigalpa, Honduras, seen the tin shacks, with the chickens outside, and a little vegetable garden, no need for a blanket, many of the homeless in the U.S. would will never have those luxuries being dirt poor. Panic sets in at the onset of Fall: How will I spend the winter without freezing to death? In other parts of the world, this doesn't show up on their radar screens!!! 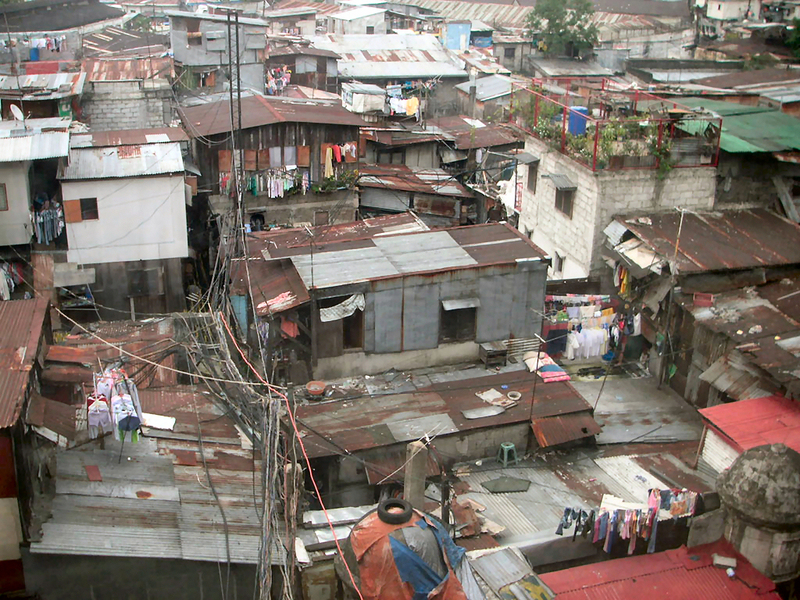 How many of the poor would trade their tin shacks for being poor in NYC or Chicago? Good question!!! Even the bad parts of L.A. look pretty nice compared to a third world country. In the hoods in L.A. you even see cars riding around with expensive rims! You're confusing poor for homeless. My point again stands the average poor person in the US has a much much better life than the average poor person in the 3rd world, of which the poor make up a much larger percentage of the population as well. The fact is actual homeless people make up a very tiny percentage of the us population and most who are homeless either tend to be mentally ill or are battling some sort of addiction problem. Cities like Chicago and new york have many many shelters built for the homeless to avoid the cold. I live in a city with something of a homeless problem and i'm being 100% serious when I say the only homeless people who chose to stay out in the freezing are the one's who refuse to stay in the shelters that are provided. Again your posts actually show how naive you are about the plight of the poor in the 3rd world. Have you heard about the beggar children in india who are purposely mutilated so as to increase the sadness factor to increase how much money they can beg for? Tell me the last time you saw roaming mutilated beggars children in downtown cleveland or houston? "Third world" is not the same as "underdeveloped nation", and this statement would makes sense in the times of the Cold War, in which we had the First World, capitalist; the Second World, socialist, and the Third World, including the non-aligned countries. The fact is that most of the non-aligned countries were underdeveloped, but also some countries like Switzerland were also "Third World", because of the policy of neutrality, although it cannot, in no way, be regarded as a poor or underdeveloped country. And, obviously, USA don't fit in any concept of Third World.